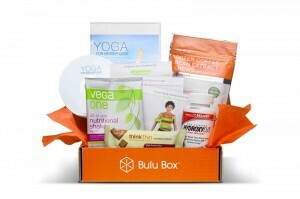 Bulu Box is a fun and easy way for people to discover vitamins, nutrition or other health products. You just sign-up for a monthly or annual subscription, and we will send you a box filled with different premium sample products based on your health needs. You share what you think about the products by completing online surveys and engaging in social media promotion. In exchange, you receive points that convert into cash which you can then use to buy the full-size version of the products you like. My wife Stephanie and I had just finished running the San Francisco half marathon. We were given a bunch of different samples of healthy products. It was fun to receive them, but it got us thinking about how none of the companies were at the event gathering market data – and how difficult it must be for those companies supplying the samples to measure the return on their investment (ROI). I worked in the nutrition industry, and knew how difficult it can be to determine the ROI of distributing samples, and the industry spends billions doing it. We also know from working in this industry that most people don’t know what types of vitamins they should be taking. The marketplace is overwhelming and can frustrate a consumer to the point of not making a purchase, or worse, purchasing products that are not healthy for them. So after Stephanie and I thought about the problems faced by both the nutrition industry and the consumers, Bulu Box was born! It’s super easy to get started. Just visit bulubox.com and chose either a month-to- month plan ($10), a 3-month plan ($30), 6-month plan ($60), or an annual plan ($110). Select which type of box you’d like to receive each month, our standard box, or our weight loss box – which is our most popular box – and we’ll customize a box for you and mail it to you. How do you cater your Bulu Box items to each customer’s needs? The more information the customer gives us during the signup process, the easier it is for us to cater the contents to their needs. For example, if someone is more interested in products for exercising versus products to help them get better sleep, we’ll do our best to tailor that customer’s box to their wants. What is the benefit to the manufacturers of your sample products? We are currently working with over 5000 brands and growing, and as I previously mentioned, the manufacturers of these products struggle with gathering quality market data at the consumer level. So we gather market data for them by incentivising our customers to take surveys about the products they receive in exchange for points that they trade in for purchasing the full-size versions of the products they end up liking. We compile that data and share it back with the manufacturers and they learn what their customers like or dislike about their products in real-time. We also work with these manufacturers to run promotions that we include in the Bulu Boxes. We have done simple giveaways to more complex, mutually beneficial partnerships. Having manufactured products before at a supplement company, we understand what brands need and what will be most beneficial for them. It’s not just putting a sample in a box, there’s a lot more to it. We learn every day, and we are constantly watching other similar business models, like Birchbox for example, to see how they are growing and learning as well. We are experiencing some great growth! Our subscriber base is five times greater than it was in December, and our customer retention has doubled since January. We are excited to see that the market feels the same way Stephanie and I did after running that marathon. What is your earliest memory of entrepreneurship? I grew up in a trailer park in Nebraska, and I started mowing lawns in the park when I was 8 or 9 years old. I got paid a $1 per lawn. I mowed a bunch of lawns and managed to save $40. I was so excited to spend my money at the local flea market. I bought all of the the things that I’d always wanted, like ninja turtles, nunchucks, and Chinese stars. I used them for about an hour, and then the glory wore off. I thought I could turn around a sell these toys to my friends at school for more than I had paid for them. It’s kind of funny that my first venture, and lessen in margins, was selling nunchucks in my Catholic school out of my back-pack. I’m sure the nuns would not like to know that those experiences turned out to be valuable lessons later in my life! I did get caught of course, but nowadays if that happened, I probably would have been expelled from school. How has LivePlan helped you in this venture? I discovered LivePlan after beating my head against the wall for a couple days. I was attempting to write my business plan using Microsoft Word. I sat there with the blinking cursor staring back at me – not sure where to start. Then I discovered Bplans.com, which led us to LivePlan. The idea of having a document that we could log in to from anywhere was extremely important to us. We were doing a lot of traveling in the early stages of our business. This allowed us to collaborate from afar and not lose valuable time in our business planning process. LivePlan helped us organize all of our thoughts together, and being able to skip around within the outline was helpful too. Another cool feature was being able to export the plan and picking one of the pdf design themes. I didn’t need to hire a designer to make it look nice since LivePlan did that for me. The investors I sent it to were very impressed by the format. We have already raised $550,000 and we’re close to closing our next round of $1MM. LivePlan helped alleviate a lot of the stress of raising startup capital. I was also sold on LivePlan because of the videos and the example plans. I became addicted to it! I went through it several times and worked with advisors. It was great to be able to invite in my advisors without having to pay extra. If it wasn’t for LivePlan, Guy Kawasaki’s The Art of Start book, and Brad Feld’s book Venture Deals, I’d still be staring at that terrible blinking cursor in Word! 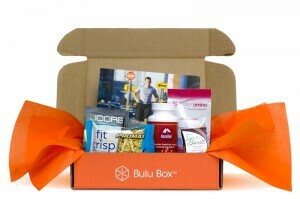 If you’re interested in trying out Bulu Box, you can try it out and get your first box free. Just use the coupon code JARRETT.